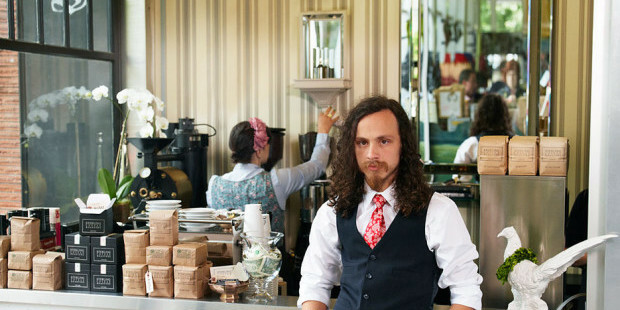 It’s no secret that Portland is the Emerald City for hipsters; and if there’s anything hipsters love, it’s coffee. And when we say coffee in PDX, almost everyone thinks of one place (but that’s not why we’re here today). Living in Stumptown’s giant shadow are dozens of coffee shops that are just as deserving of your love. Here are six of our favorites. Step up to Sterling’s location in the heart of Northwest Portland, and you’ll find yourself wondering if you’ve got the right place. They’re tiny, but the space is packed with charm, from the clean white tablecloths and striking wallpaper to baristas who are always dressed to kill. It’s the kind of place that’s so effortlessly elegant you can’t help but wonder if there’s something going on behind the scenes, and as it turns out, there is (sort of). At night, the classy little coffee shop gives way to a wine bar, which only adds to its unique appeal. Can’t get enough of the coffee itself? Sterling Coffee Roasters also provide the goods that go to Coffeehouse Northwest, another small but stylish cafe. 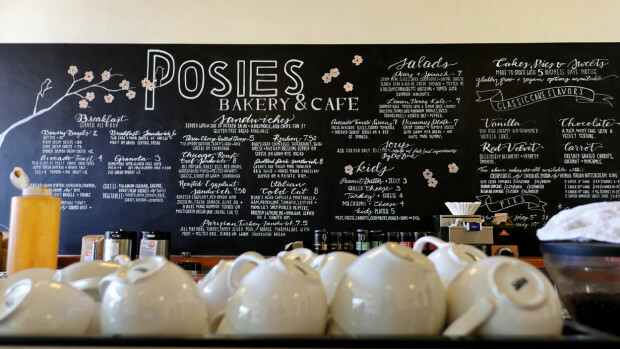 Tucked in the middle of North Portland’s adorable Kenton neighborhood, Posies prides itself on being family friendly; moms and dads can feel free to have their kids in tow. 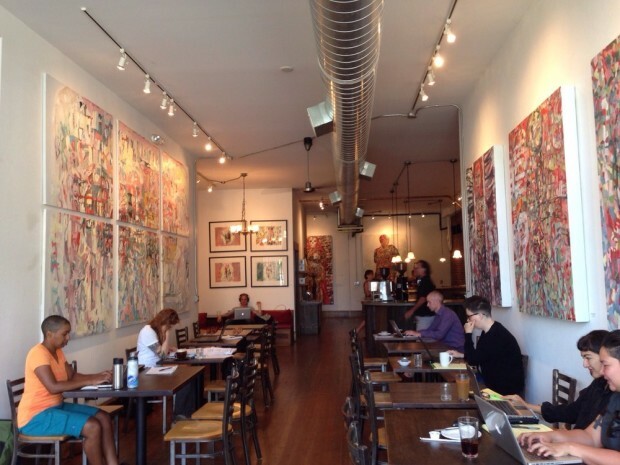 It’s a great place to go if you’re looking to grab some real breakfast with your morning dose of delicious caffeine. The buttermilk biscuits they make on the weekends are some of the best around, but they do sell out, so make sure your lazy Saturday morning isn’t too lazy. Some have noted that it tends to take longer than average to get your drink, but the wait is balanced out by the comfortable, homey atmosphere. And if you miss out on the buttermilk biscuits, do yourself a favor and get an almond croissant instead; that alone is worth a visit. 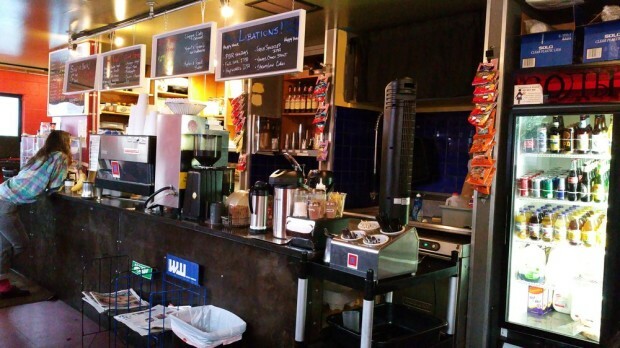 Howl N Growl (formally known as Howl and Growl Filling Station) describes itself on its Facebook page as “a NW Portland Coffee and Tap House,” which should tell you everything you need to know about this amazing place. Grab your coffee in the morning, and then come back at night for a wide selection of beer and wine, including celiac-friendly choices. Since opening up just a couple of months ago, they’ve also acquired food in the form of bagels and various other baked goods. 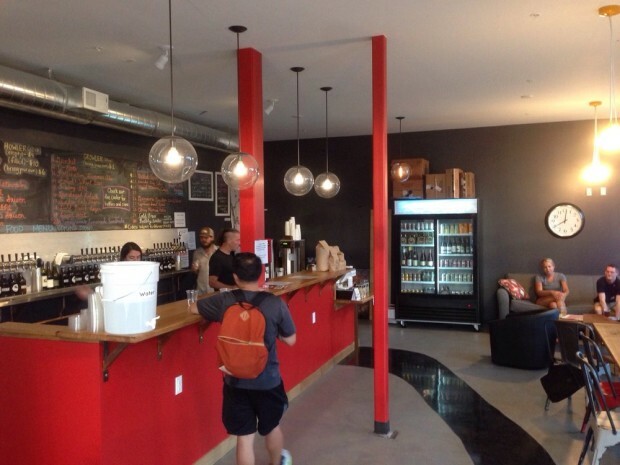 The service is fast and friendly, and they often host free tastings from local breweries, so if you’re into good Portland beer, Howl N Growl is a required stop. And of course, if you’ve got an empty growler and you haven’t been here yet, you are seriously missing out. Stop in, sit down, and chill out; that’s what this place was made for. Okay, you caught us sneaking in a tea place, but honestly, we couldn’t resist. Coffee and tea are so often lumped into the same category that it only seemed fair to include this second floor teahouse. There’s a truly gargantuan menu of over 100 different types of tea, and tapioca pearls are readily available, should your palate require them. The teas are freshly made from scratch, which does mean they’ll take a little more time to brew, but the extra three to six minutes are definitely worth it. When it’s nice outside, you can take your drink onto the patio overlooking the Alphabet District for some prime people-watching; it’s also a great place for reading, studying, or composing epic works of poetry in your head. Make sure to ask for sugar if you’re not into tea that actually tastes like tea, although they do have really nice chocolate and creme brulee chai teas available. And now…back to your regularly-scheduled coffee. If you’ve gotten tired of wandering around the northwest section of the city, cross the river and head to Red Square Cafe on SE Belmont. Bonus points if you’re a nerd, because this place was made for you. In addition to coffee provided by the delightfully Russian Dazbog, you can find snacks, bagels, sandwiches…and computer games. Red Square bills itself as “southeast Portland’s original internet cafe,” and boasts six in-house computers fully loaded with a Teamspeak server, Skype, and a host of games (including League of Legends and Tribes: Ascend). Every purchase comes with a limited amount of free computer time; and if you need more, you can always get time tickets for up to an hour, or bulk time cards for up to 100 hours. Want to get drunk and crash Summoner’s Rift? Red Square’s got you covered with $1.50 Pabst on the weekends, plus a modest list of other beers and one cryptic entry under the heading “Coming Soon” that just says “something cool.” Consider us intrigued. Red is the color of our true love’s coffee shop, apparently. The Red E roasts its own coffee, and the effort shows. They’ve made a name for themselves as an excellent place to work or study, but what caught our eye the quickest was something on the menu called a “coffee soda sparkler.” Carbonated iced coffee, sweetened and flavored with vanilla? The denizens of Yelp say it’s great; you’ll have to trust them on this one. The Red E is a classic coffeehouse in the sense that although it’s still full of a welcoming atmosphere, you’ll still feel cool while you’re sitting underneath the regularly-changing paintings or chatting with the exceptionally-trained baristas about how you like your shots pulled. It’s worth noting that the caffeine content here is somewhat higher than you might find elsewhere, so proceed with caution unless you like to live dangerously. 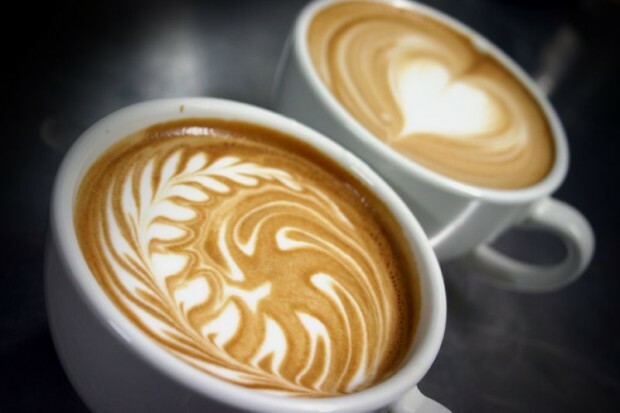 What’s your favorite Portland coffee spot? Leave us your recommendations in the comments!